The old Kmart off Pacific Boulevard is to be razed. In the left background: Kohl’s. Whatever happened to the plans by WinCo Foods to open an Albany store at the site of the closed Kmart? It’s still in the works. That’s the short answer to the reader who asked me about it this week. As luck would have it, the Answer Man was in when Cindi Tandy’s email question arrived. And he turned to the city planning department for the latest. It was in May that a report in the Albany Democrat-Herald said WinCo had filed a “land use application” for the Kmart site, vacant since September 2014. This was after the company filed for a change in the lot configuration last November. What happened since? Not much, apparently, but things may be moving soon. A WinCo on this side of town will be a welcome addition to the grocery retail options of this city; particularly with the recent demise of Albertson’s. Jim, I agree a (real) grocery store is needed in North Albany and I also wonder if high rent is the reason the old Ray’s is still vacant. I grew up and lived in North Albany for many years and remember the old Foodtown and Market Basket and the other IGA grocery stores where Tom’s Garden Center is now. Those stores ALL had competitive pricing. Ray’s certainly did not….they were one of the most expensive groceries in town, and as a result….they did not last. One wonders if Ray’s management thought they were going to cut a “fat hog” (N. Albany residents). For the developers/owners, no tenant results in no rent. At some point one might think a reduced rent would be better than no rent at all. The city has treated N. Albany in various ways over the years…..mostly as a cash cow in my opinion……and continues that attitude as I see it. Or, maybe, there isn’t enough retail variety, (i.e. clothing, restaurants, banking, entertainment, etc. ), in North Albany to keep its residents from crossing the bridge. Once across the bridge it makes sense to take advantage of the sales and pricing options at other grocery outlets. 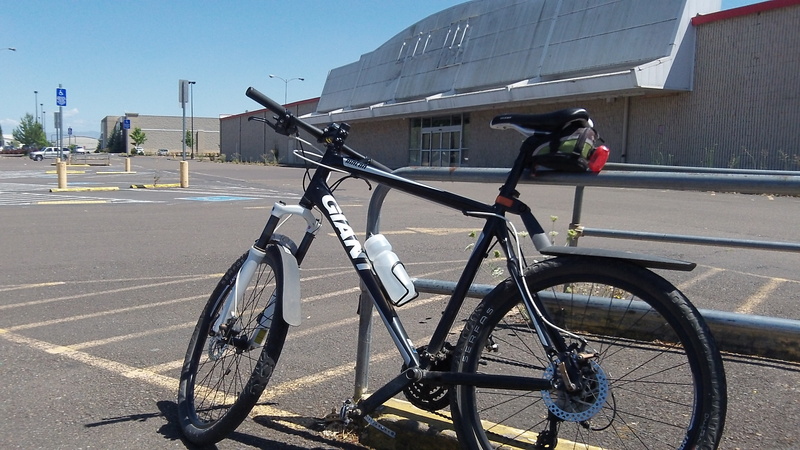 The wish of North Albany residents to have a viable major grocery retailer on that side of the river will remain just that until “going to town” does not require crossing the bridge, or heading west to Corvallis. Don’t you think? I think the grocery problem is seperate from the other factors you mention. Whether just stopping to grab some milk or a loaf of bread to doing the bulk of your grocery shopping…..Ray’s convenience was very good, nice people, movie rentals, deli, banking (OSU Credit Union was there) …were all good draws. Subway, Pizza, exercise, gasoline….heck you can buy craft beer in growlers at Jackson’s now…very competitively. My insurance agent is there…..hair styling, etc. Nothing wrong with the variety. People don’t buy clothes every day. There is a perception locally that North Albany residents are wealthier than the people “in town” and I always found that a little puzzling. I lived in North Albany from the time I was young (1962) until only 3 years ago for much of my life and knew many folks that had less than many in town. And people with higher incomes still don’t want to pay premium prices for ordinary grocery items. I thought Ray’s pricing was very high. Certainly not a Megafoods or Fred Meyer. Long ago my parents shopped at the old IGA’s in the Tom’s Garden Center building because it was convenient, cost no more, and had a complete selection with good meat and produce departments. I see no reason that can’t be done today. The one consolation, I suppose, is in Albany being such a small town that with Ray’s demise due to lack of area patronage and even with the new WinCo being located across town near the freeway, the inconvenience will not be too great for North Albany residents to avail themselves of the great pricing and selection. You can fuel up the car at Costco and grocery shop at WinCo in one trip. Had WinCo chosen the North Albany location instead, my trips across the bridge would have become more frequent.